Orange Wednesdays is dead and EE has seen fit to replace it with its own Film Club deal offering cheap film streaming each week through the Wuaki.tv service. It's a neat deal, depending on what films will be included, but certainly isn't as cheap as being able to split the cinema with a mate every Wednesday like you used to. But it seems like those days aren't gone for good. 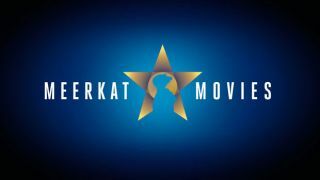 Compare The Meerkat has revealed a new deal called Meerkat Movies offering 2-for-1 cinema tickets through an iOS or Android app. You'll be able to use the deal every Tuesday or Wednesday in all participating cinemas allowing you to see any movie of choice. The big caveat is you'll have to have bought something through Compare The Meerkat recently. If you've made a purchase in the last year, signing into the app now means you'll be able to use the service for the next 12 months until the day you took out the car, travel, life or home insurance policy. Opening up the service to two days of the week will give customers a better experience, with less need to queue around and rush to the cinema early when it's really busy. Here's a full look at the EE Film Club.